I was going to Soča Valley. What can I tell you about this wonderful, enthralling area? Well, for starters it’s an adventurer’s wonderland. Wonderland, because it has anything an active traveler could possibly want: zip lining, white water rafting, paragliding, kayaking, biking, hiking, bungy jumping, fishing.. and the list just keeps going. Personally, I was most impressed by its mountainous nature and emerald river. Take a look for yourself and tell me if you agree. 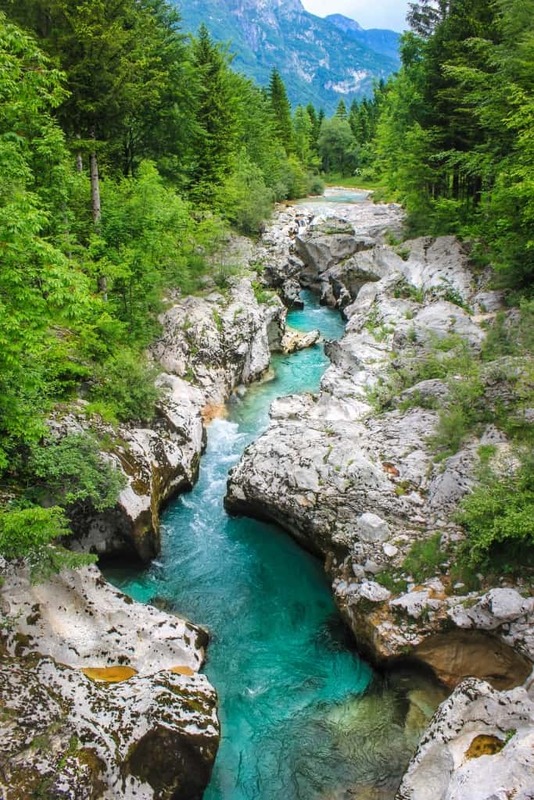 Have you been to Soca Valley? Would you go? I was spending the day with the lovely Maja from Sports Center Bovec and our first stop was Lake Jasna, Kranjska Gora. 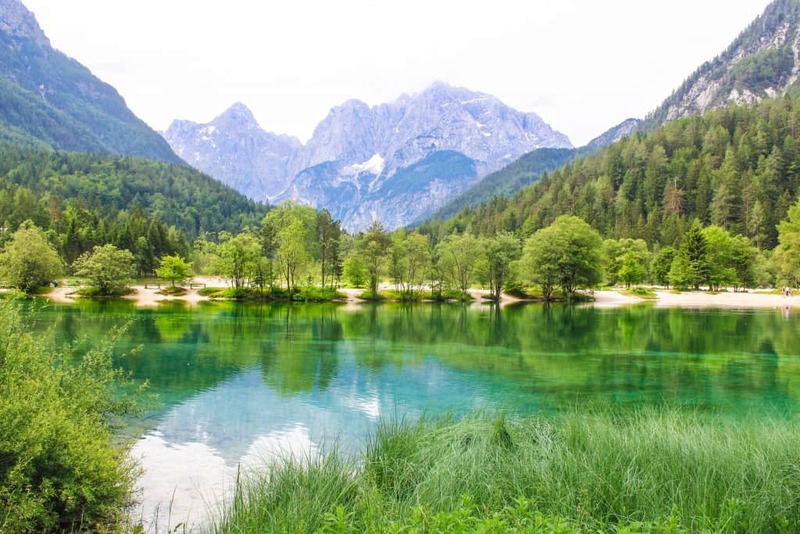 This picturesque glacial lake is halfway between Bled and Vrsic Pass. 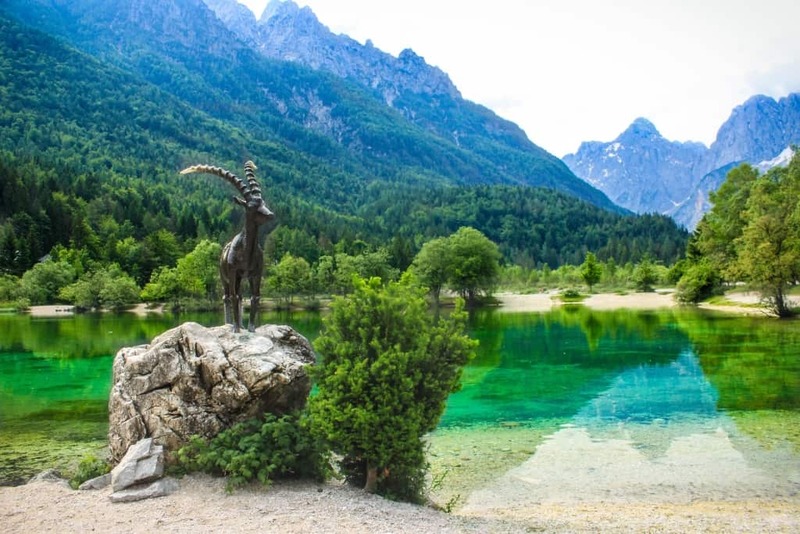 The lake is guarded by a statue of Zlatorog, the legendary mountain goat of Mt. Triglav. Remember I mentioned him in my last post? 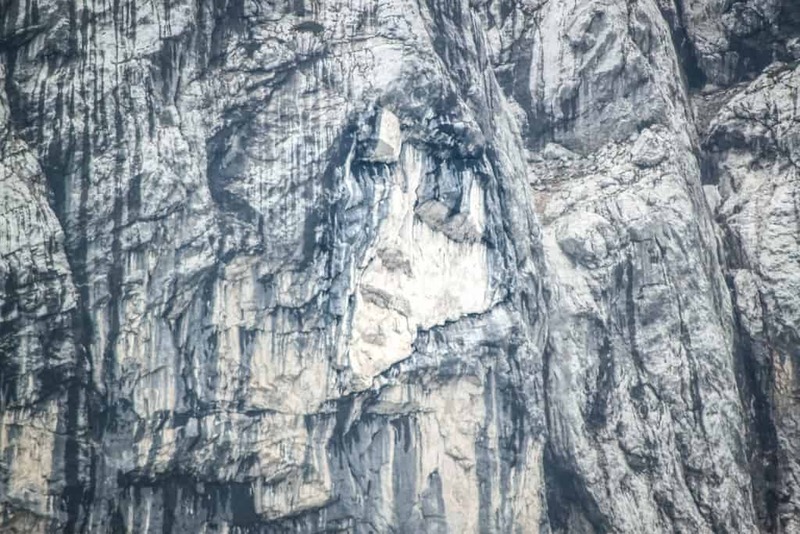 Legend tells that this mythical mountain goat lived on the Triglav Mountain, guarding a secret treasure. It was shot by a hunter who was after the treasure, but the dying Zlatorog ate a flower which revived it. After that, it killed the hunter and destroyed the garden. Since then it left the area, never to return. 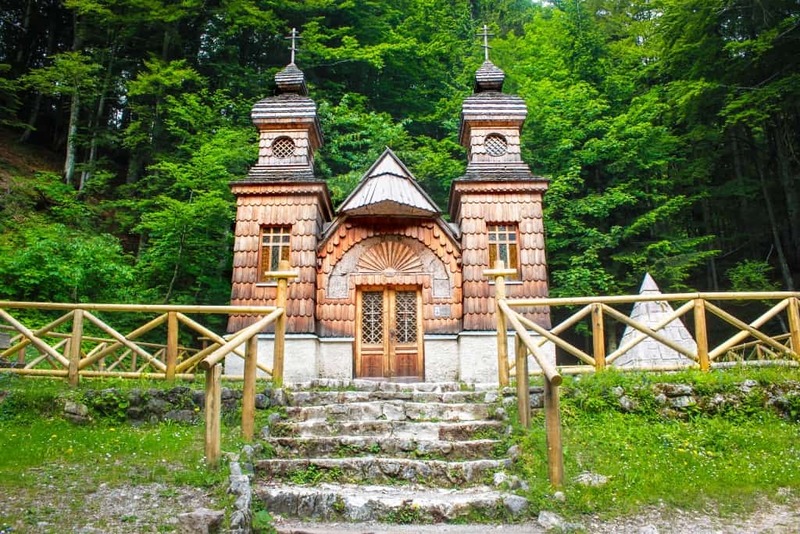 Slovenia has several statues of Zlatarog. There’s one at Lake Bohinj, too. 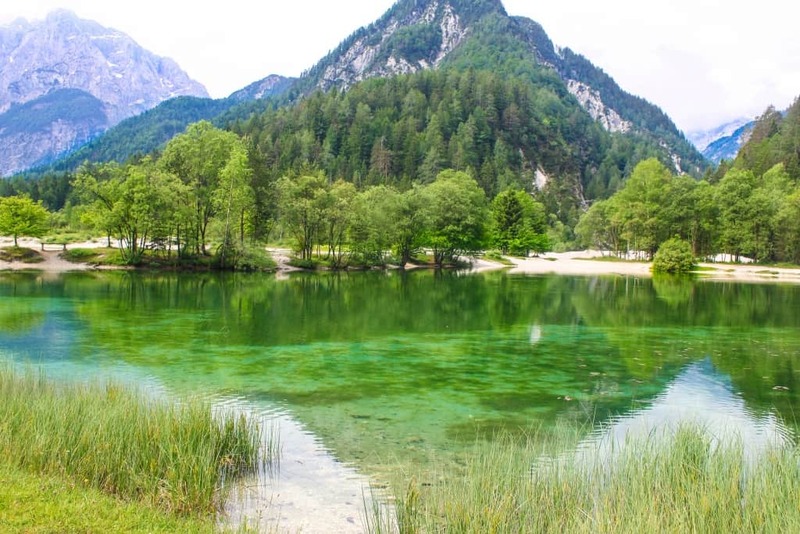 Tip: If you don’t have a car, take the bus to Kranjska Gora and walk the 2km to the lake. 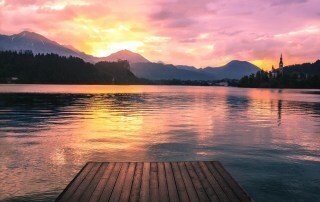 It’s not that far from Lake Bled and can easily be visited as a day trip. 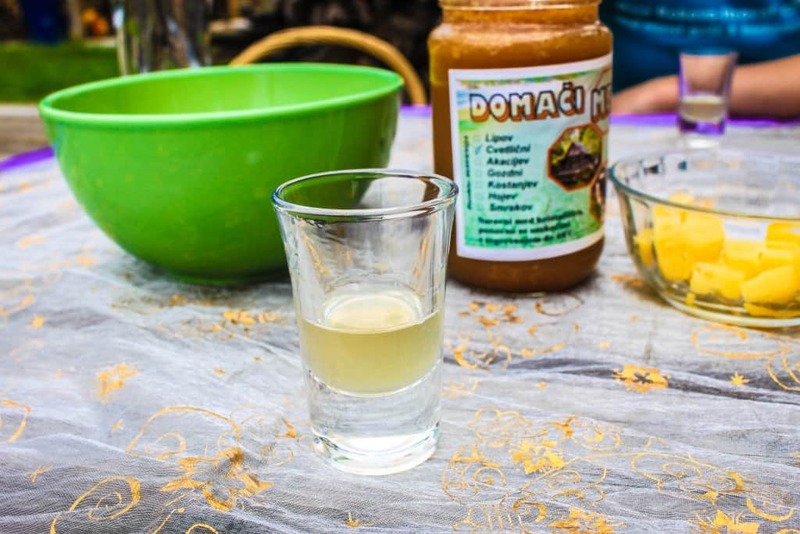 Vršič – can you pronounce that? I spoke to someone in Bovec who said that if you can pronounce Vršič, then you can pronounce anything in Slovene. I guess it’s like the word refrigerator in English or rød grød med fløde in Danish. For the record, it’s pronounced ver-sheech. So. Vršič. 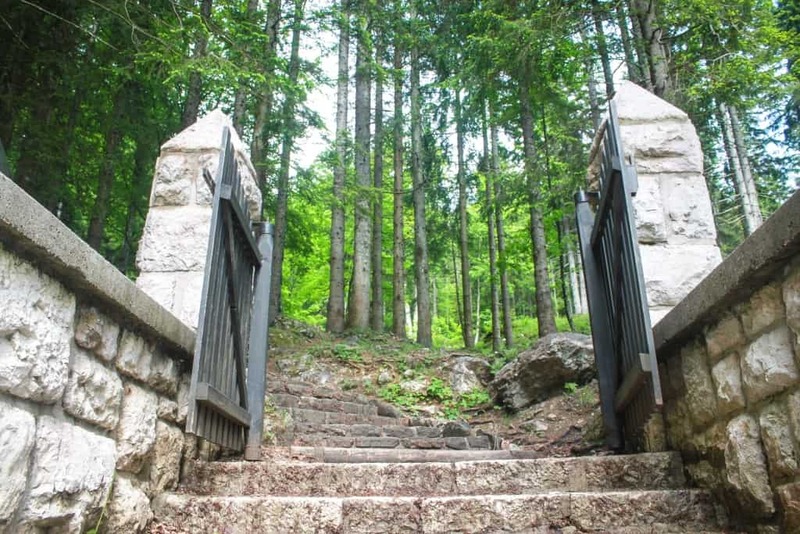 It’s a high mountain pass across the Julian Alps that connects Kranjska Gora with Bovec and it was originally built for military purposes during World War I. The road through the pass is currently known as Ruska cesta (“Russian Road”), renamed in July 2006 to honor the Russian prisoners of war that were forced to build it. 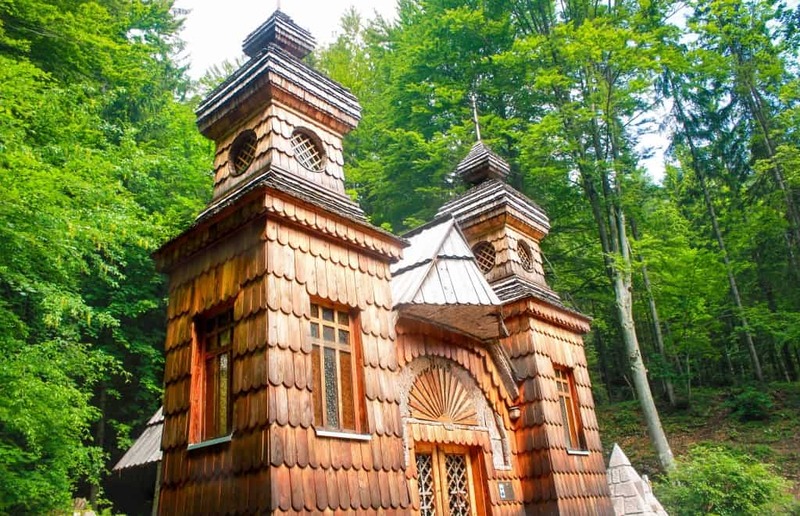 Just off the main road, on the north side of the pass, there is a Russian Orthodox chapel. It was built by the Russian POWs to commemorate their comrades dead during the road construction. Once upon a time, a nymph prophesied to the son of a hunter that he would kill the Goldenhorn (that’s Zlatorog, the famous mountain goat). When her sisters heard of this inadmissible prophecy, they punished her by turning her into a rock. Her face has stayed there till now. After a few hours drive through the narrow mountain pass, we reached the majestic Soca Valley. We headed towards the main town Bovec, which is a charming little place with a growing reputation for adventure sports. 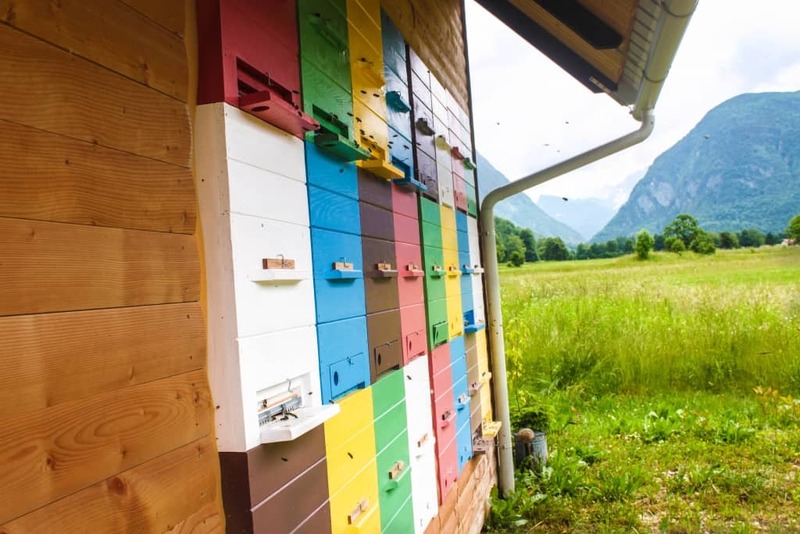 The valleys surrounding Bovec are dotted with beautiful alpine houses and cottages, and it’s also a popular place for bee keepers. 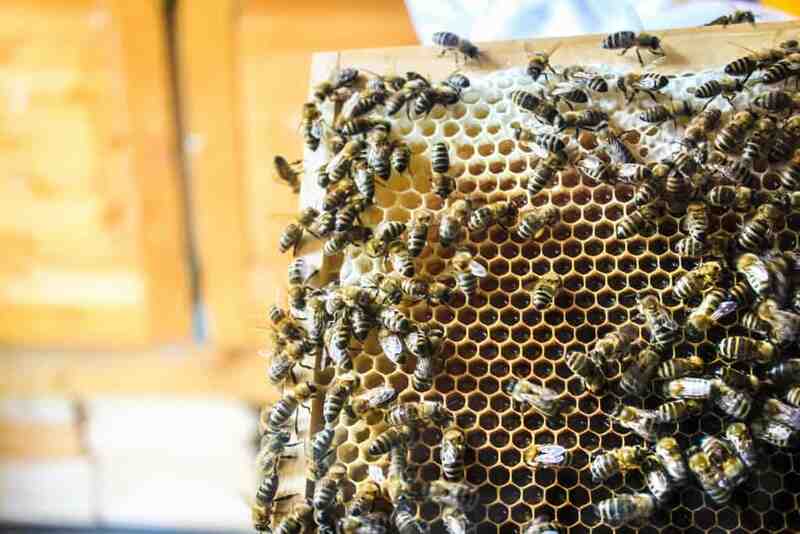 It was time for lunch so we visited Maya’s bee farm there. 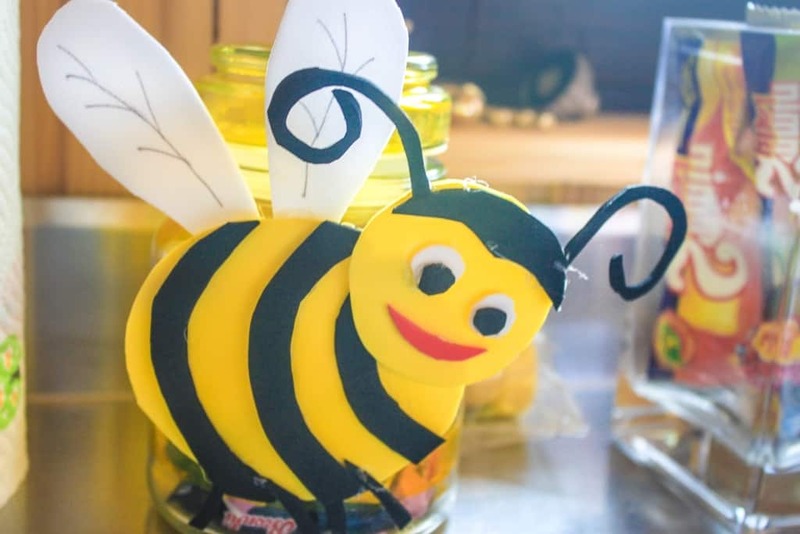 After lunch, I tried Bee Aromatheraphy. It was my first time so I was really curious how and if it would have an effect. 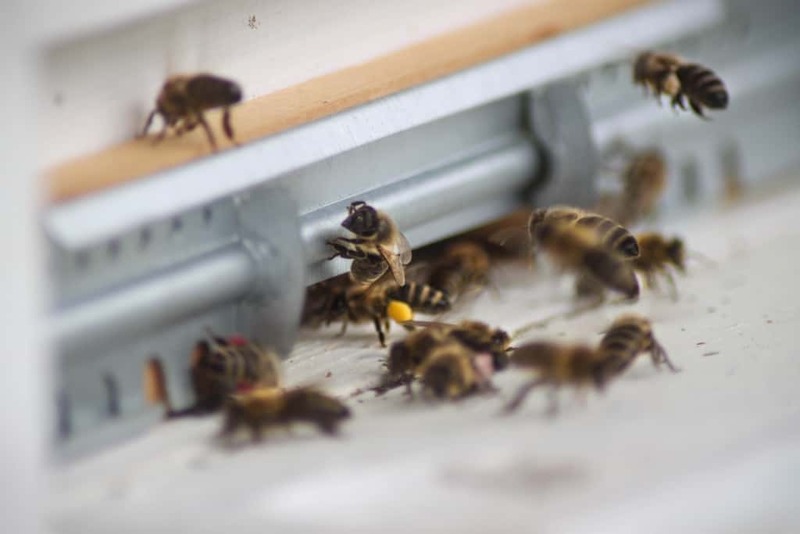 As I learned, bees create a special microclimate, which relieves mostly lung problems, anxiety and helps the body relax. I got the mask on and inhaled the aerosols for about an hour. It was very relaxing and calming. Homegrown honey, cheese and strawberries from Maja’s garden. SUPERDELICIOUS. After lunch, we continued our road trip and drove through this stunningly beautiful area. For an outsider, entering this Eden felt like clambering through the back of the European wardrobe. And someone did actually, because The Chronicles of Narnia: Prince Caspian (2008) was shot right here in Bovec, Soca Valley. 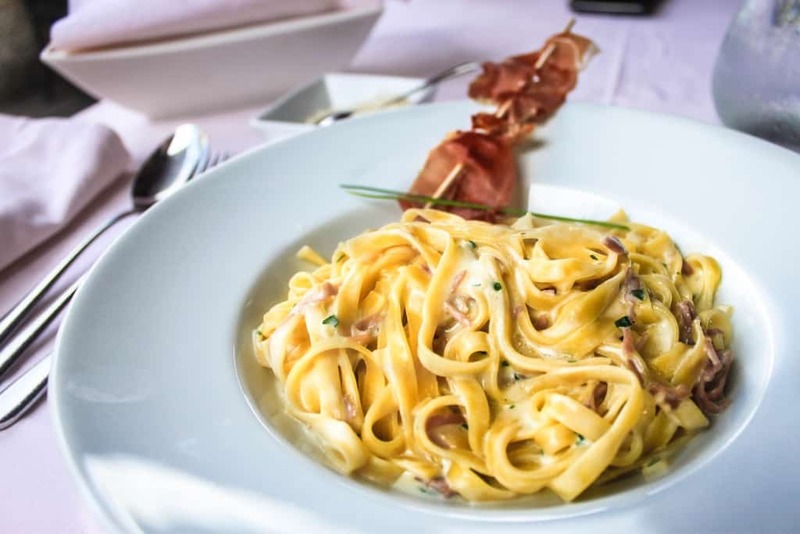 Tip: This is only a short drive from Bovec. 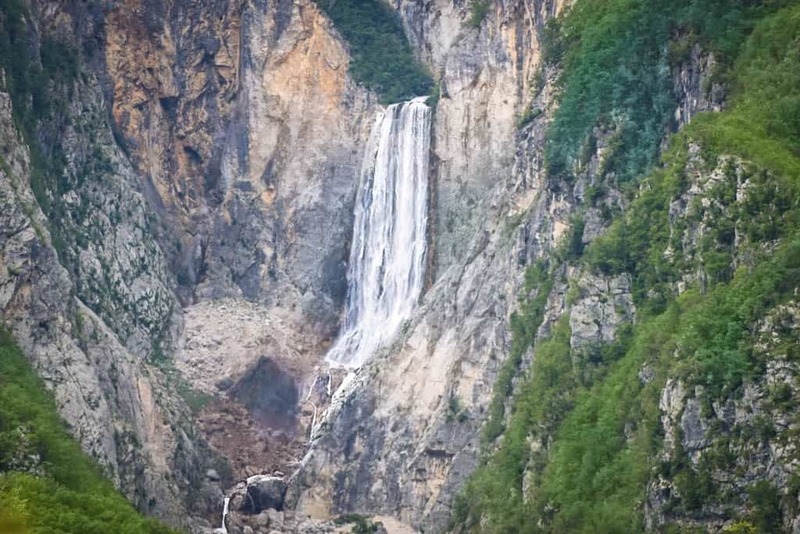 A little further up the road, we passed the Boka waterfall, which is undoubtedly the mightiest waterfall in Slovenia. Simply because it emerges from a spring in a mountain side. Majestic! 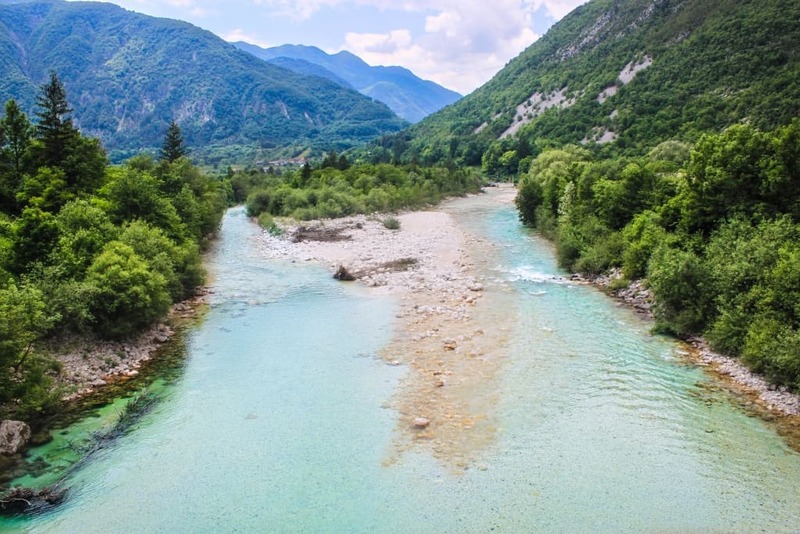 Another amazing feature of Soca Valley is the river Soca. Having picked up its colour in underground limestone caverns, Soca river runs through deep canyons into languorous pools filled with white sand and marble trouts. 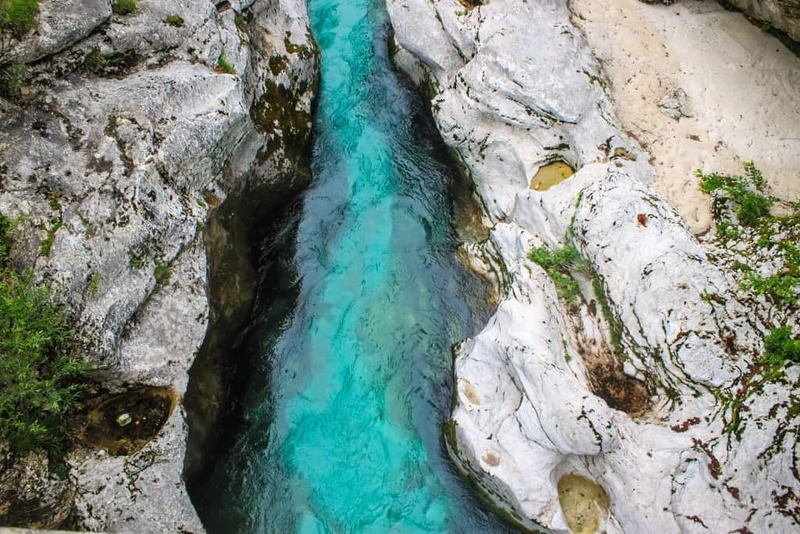 These gorges follow the river through Soca valley, and it’s definitely worth a stop or two for photos. Final stop of the day was Kobarid. After saying goodbye to my guide, I went exploring this charming alpine town and hiked to a nearby waterfall. 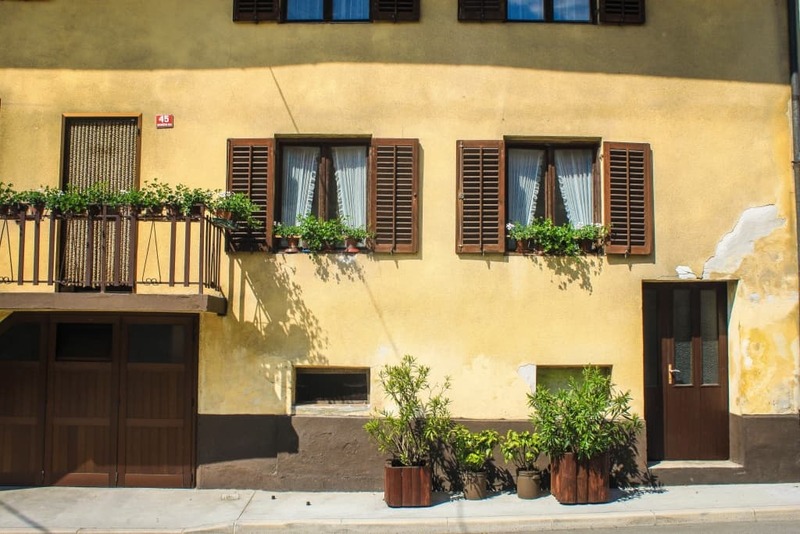 Kobarid is a small and amiable little town with a historical trail and a number of colorful houses and buildings. 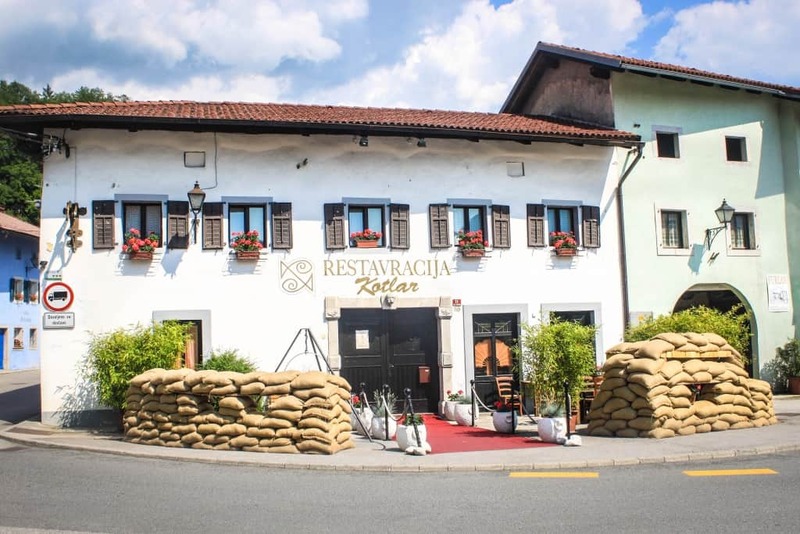 It has some of Slovenia’s finest restaurants and a museum about the role of the area as a major front in World War 1. Kobarid was a beautiful place and also the perfect ending to an epic road trip through the enthralling Soca valley. Many thanks to Spirit Slovenia for generously hosting me in Slovenia, and thanks Maja from Sport Center Bovec for a super fun and active day. As always, all opinions and thoughts are my own, regardless of who is footing the bill. An amazing post Miriam. Thank you so much for sharing about the Soca valley. 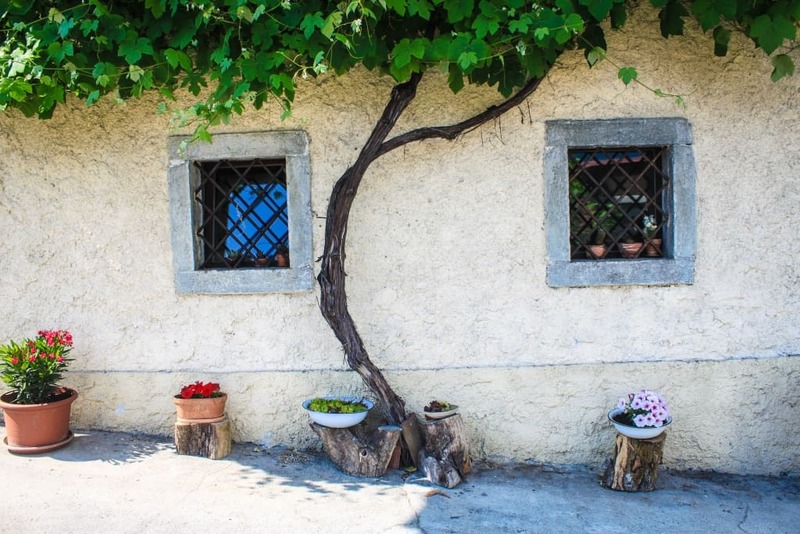 Some history, some local folklore, a local charming town, and absolutely gorgeous photography. Such a beautiful corner of the world, that I know so little about. I’m a Scotsman who fell in love with Slovenia 29 years ago and am about to retire there. I found your post through your tweet and the sunset picture on it of Dresnica – although the village is not mentioned in your article the picture you used was taken very near my house. When I’m there I get to wake up to that view every day and it never fails to take my breath away. I’m currently building a website of photos I’ve taken in Slovenia and I hope to spend many more years adding to the collection – there’s a photo every couple of steps pretty much anywhere you go in this wonderful part of the world. Oh, you live in Dreznica? I spent a few days there and absolutely LOVED it – would love to have that view every day. I have a post coming up about it soon. Hi Miriam- I’ve just finished reading through all of your Slovenia posts. There is so much helpful information, thanks for being thorough! I’m just starting to get some notes together for our time there this October. You’ve definitely confirmed that we need to rent a car. I love getting outside of cities and having the freedom of a car will be great. I can’t wait to see the river Soca in person, so beautiful! Thanks again! I’m so glad to hear that. 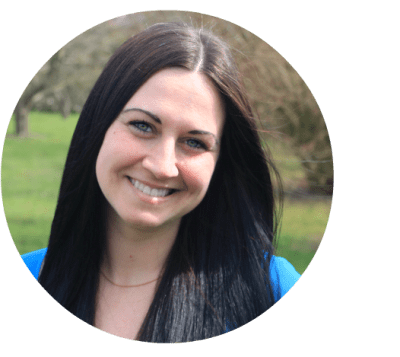 Thank you, Alana! I definitely recommend renting a car, especially if you’re going to Soca valley. You can easily visit Ljubljana, Lake Bled and Lake Bohinj by bus though. I couldn’t agree more. Slovenia has it goin on. Where is your home country? Hagiang? I haven’t heard of that. Wow Miriam, this really is paradise! The shot with the goat guardian is super stunning. I’d only seen water like this in Fiji; never knew it existed in Slovenia. Awesome stuff…thanks for sharing! Isn’t it? I was so surprised when I got there and discovered how amazing it is. It’s so underrated! 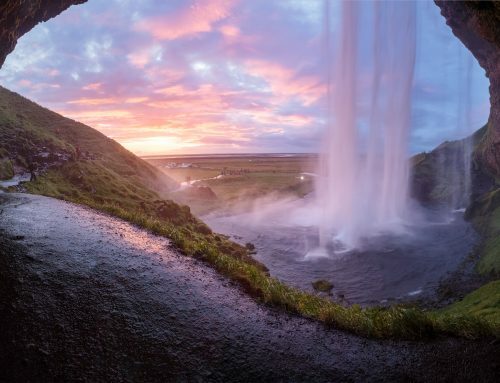 Beautiful photos – what an amazing trip. 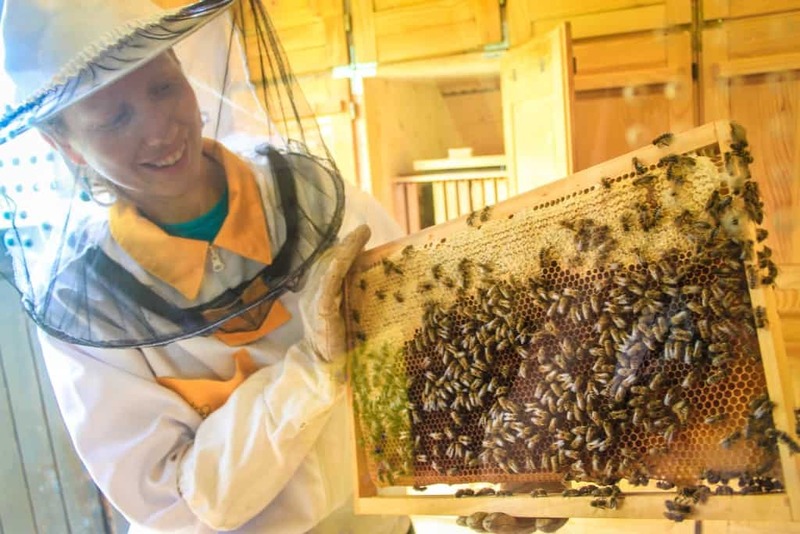 The bee farm sounds like a highlight and those gorges look amazing, they remind me of the ones we saw in Taiwan. Thanks, Amy. They have gorges in Taiwan? The more I hear of Taiwan, the more I really want to go. 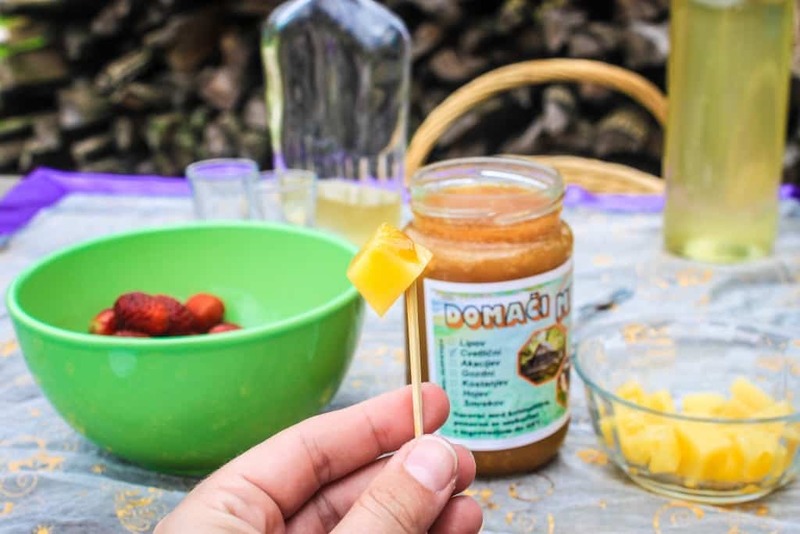 I have just read your blog post on Soca Valley and it sounds wonderful! The pictures appear to be gorgeous! I’ll be going there soon too. Do you know how we can rent a car and what hotels are convenient? Hi Linda, thanks for dropping by! I don’t know how you can rent a car, but my best guess is renting it in Ljubljana. If you’re visiting Dreznica, I recommend staying at the Kranc house. It’s a tourist farm (bed & breakfast), and the owners are really nice. Great blog post about my region of Soca valley. Great photos and you choose great local experiences in Soca valley. 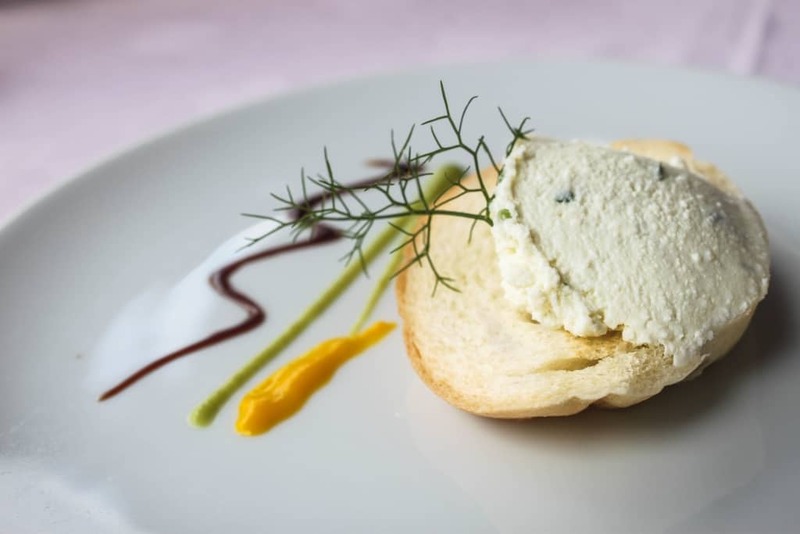 Next time come and taste Soca valley through its outstanding local cuisine. What a great post! I’m so excited to visit this May. 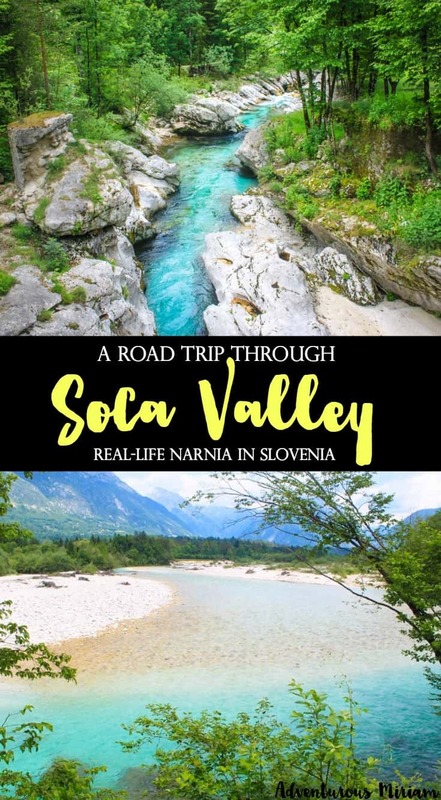 Is it easy to get around Soca Valley, bovec, etc. without a car? Or do I need to rent one? Am thinking of taking the train from Ljubljana or bus from bled. It’s not super easy to get around Soca Valley without a car, but it is doable. I highly recommend that you rent a car so you can make photo stops along the way. If you take the bus, you won’t be able to take photos or see all the things Soca offers. 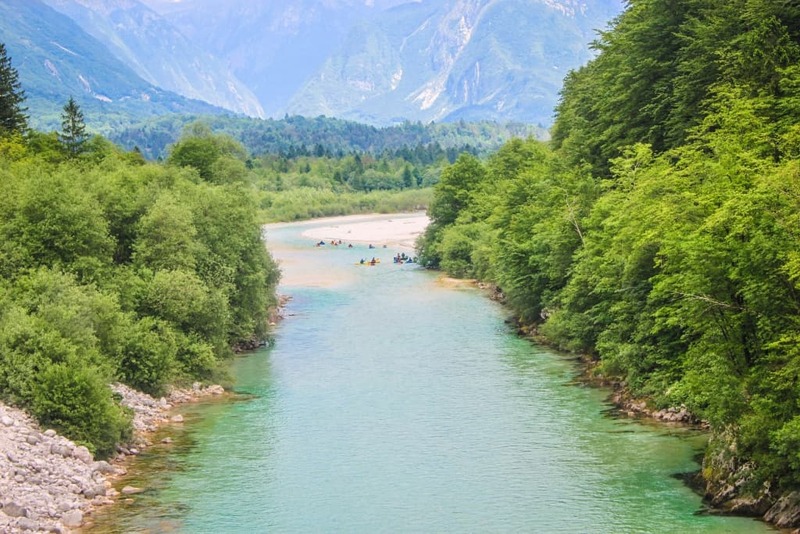 If renting is not an option, you can take the train from Bled to Bovec and then the bus from Bovec to Kobarid and then onwards to Ljubljana. That’s the route I did, although with the train/bus you won’t pass Lake Jasna and Vršič pass, which is super beautiful. Just stumbled across your blog as Im making plans for our trip to Slovenia in July. Your photos are stunning. I know the landscape helped, but you definitely have an artistic eye! We (me and my two teenage children plus one teenage friend), are planning to spend half of our time (so 4-5 nights) exploring Bovec, Kobarid, soca Valley, and Bled. We love getting out in nature and hope to hike quite a bit and possibly kayak. Is Dresnica located close enough to be our base camp for these places or do we need to move around? I probably wouldn’t pick Dreznica as a base for hiking and exploring. 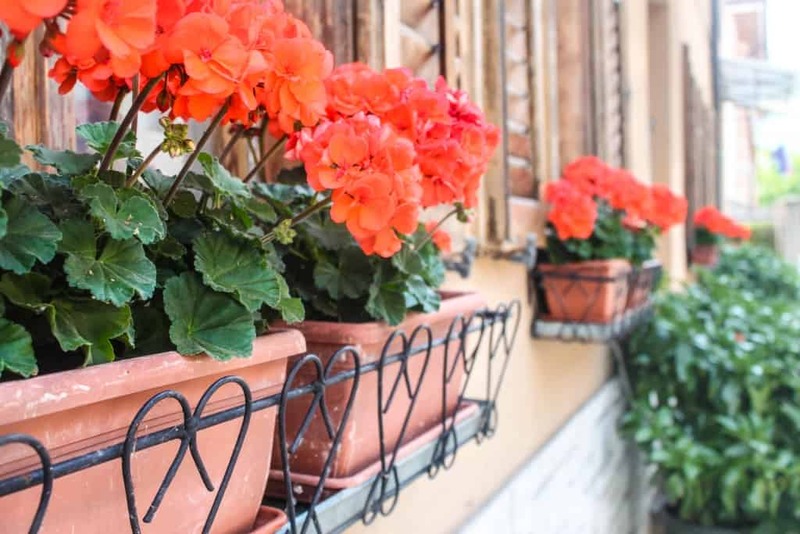 It’s a lovely village, but it’s a bit secluded and more suited for relaxing in the countryside. 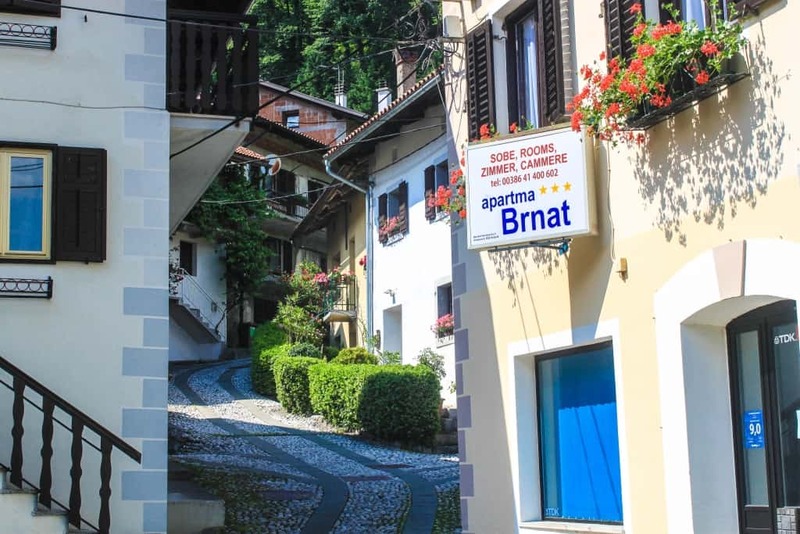 Instead I recommend basing yourself in Kobarid (south Soca Valley) or Bovec (north Soca Valley) – both are nice towns and quite adventure packed. Also, be aware that Bled is on the other side of the mountain range whereas Bovec and Kobarid are just 25 minutes apart. It might look easy to get from Soca to Bled on a map, but the ride through Vršič mountain pass is very steep and narrow. Thank you so much. This is helpful information! When I see the pictures I can’t wait untill the summer te visit Slovian again. Now we’re doing a roadtrip in Slovian, Croatia and Bosnië.I’m gonna take my time to read you’re experience and looking for tips and trics. We’re staying a fiew days in Kranjska Gora. We’ve been there already a fieuw years ago. 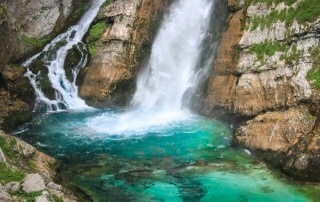 We love the Slovian, the nature is fabulous.The Soca is already on the to visit list. I’m going to search for some walks (hiking) to do. Perhabs I’m going to finds some here in your blog. Have a wonderful road trip! Thank you for this article about my valley. I’m glad to hear you enjoyed your time here. Hopefully, you visit again: If you do, feel free to contact me and I will show you more natural beauties here. Thank you so much, Linda! I will definitely come back to Soca, and next time I’ll bring my family. It’s even prettier in real life! Headed to the Soca Valley next week. 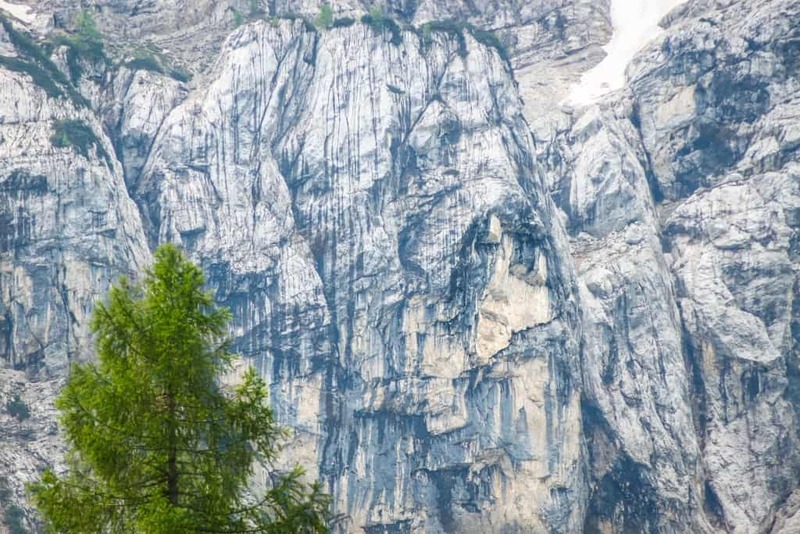 I know your pictures are from a couple years ago, but do you remember exactly you shot those pictures underneath the “The Gorges in Soca Valley” Header? Those are amazing. Thanks! 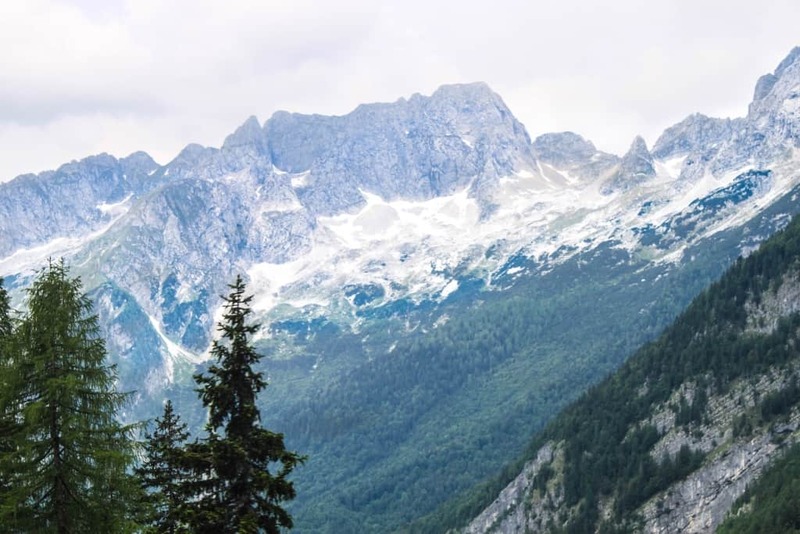 I don’t know the precise location, but they’re on the road from Bovec to Kobarid. 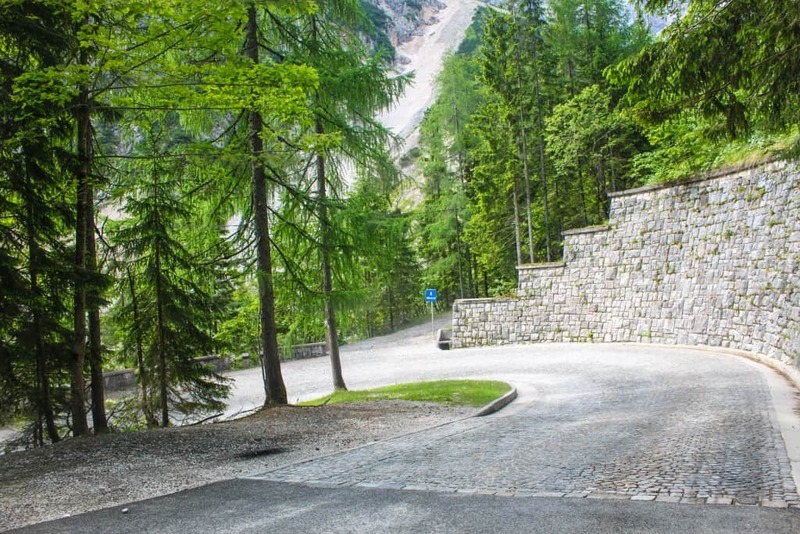 The drive isn’t that long so they shouldn’t be hard to find – I believe they’re on the left side of the road (coming from Bovec), but I’m not totally sure. I saw in one of your comments that it’s difficult to get from Bled to Soca because of the mountains in between. How do you recommend getting from one to the other? I’m planning to fly into Ljubljana. 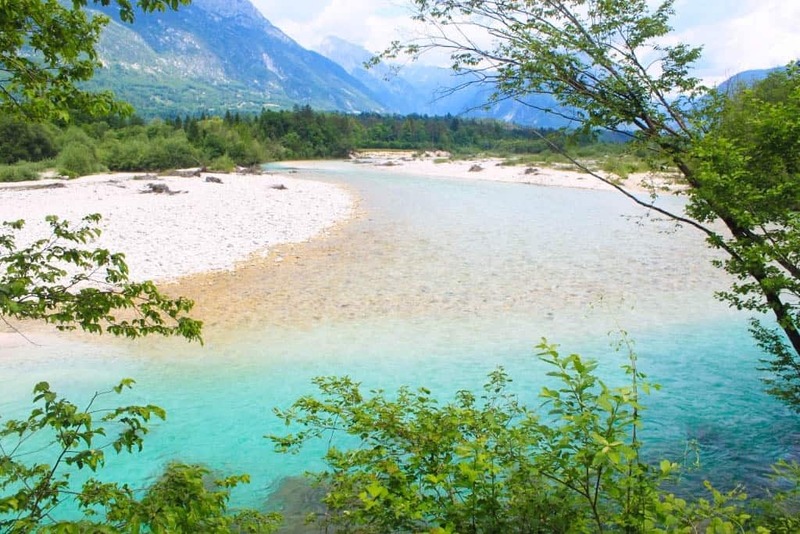 Also – do you think it will be warm enough to swim in the Soca river in mid-September? Thanks so much, Olivia! 🙂 Hm, I think the river will be a little cold maybe, but you might be able to swim in the lakes (Bled and Bohinj). I’d bring my swimsuit if I were you! Have a GREAT trip to Slovenia. It’s an amazing place. Hi there, we plan to drive from Piran to Bovec next July in one day via Kobarid, not real sure of the best route from Piran yet, any suggestions? Then continue north to ( I think it is the soca valley road to vrsic pass, towards Kranksia Gorge and onto Lake bled the next day. Do you think this is the best route, or do you have other suggestions? Hi Alison, I haven’t been to Piran so can’t really advice on the matter, sorry. But the route from Bovec to Lake Bled via Vrsic is the perfect route to take. 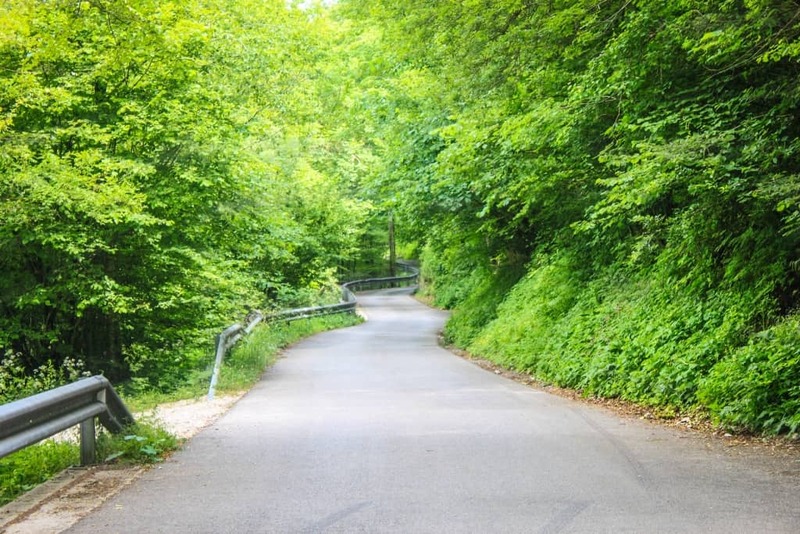 I think the only other route is through Ljublana but then you won’t see the beautiful nature. 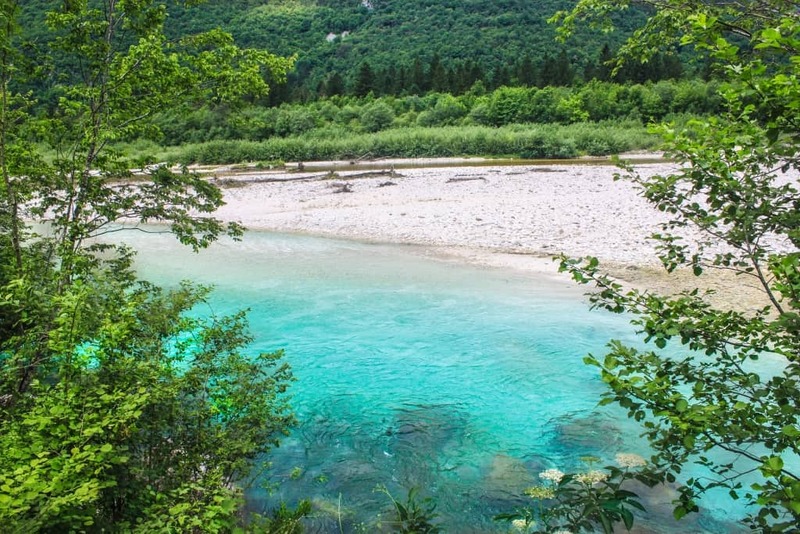 While I was on vacation to Slovenian coast, and a friend who lives there recommended a whole day excursion to Soca valley, as an escape from the extreme heat in the coastal region. 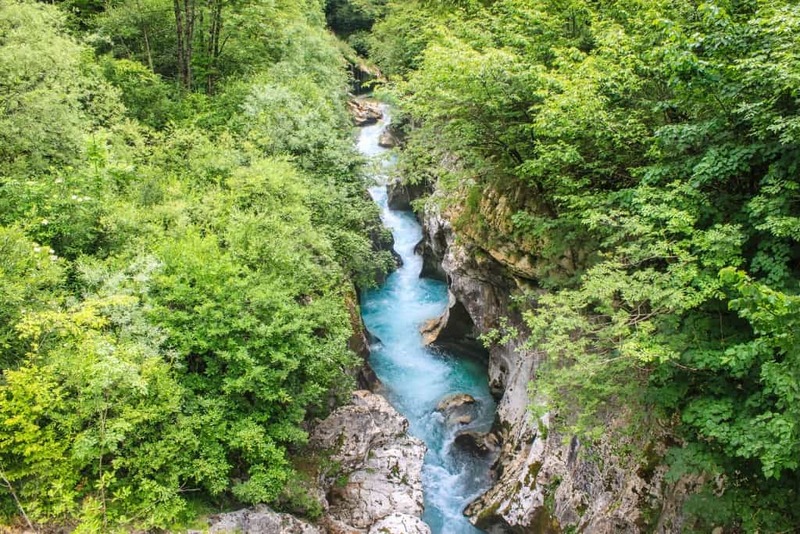 I really like visiting Soca Valley particularly the offers of outdoor activities, white water rafting, hiking and fishing, and many waterfalls and gorges. I am pleased that we didn’t miss discovering this region of Slovenia. I think it’s one of the most beautiful areas in Slovenia. 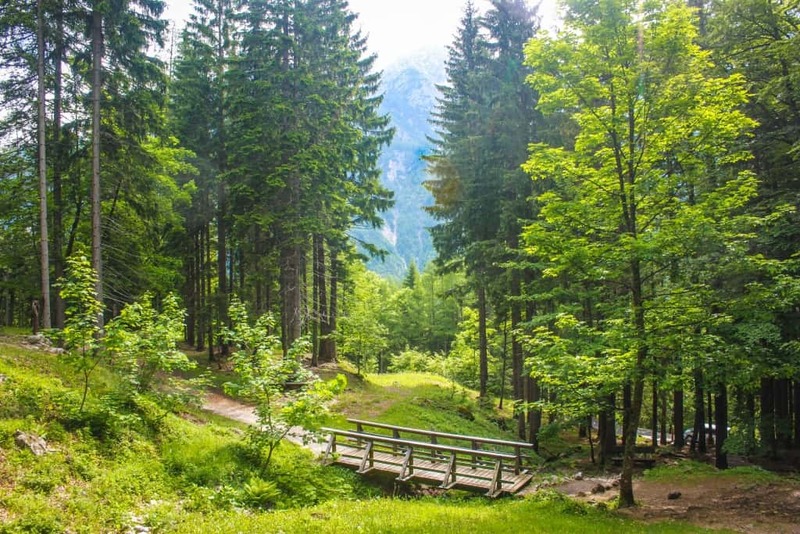 Most people who visit only see Ljubljana or Lake Bled, but it’s so worth venturing off to the valley and mountains – especially for an outdoor enthusiast! 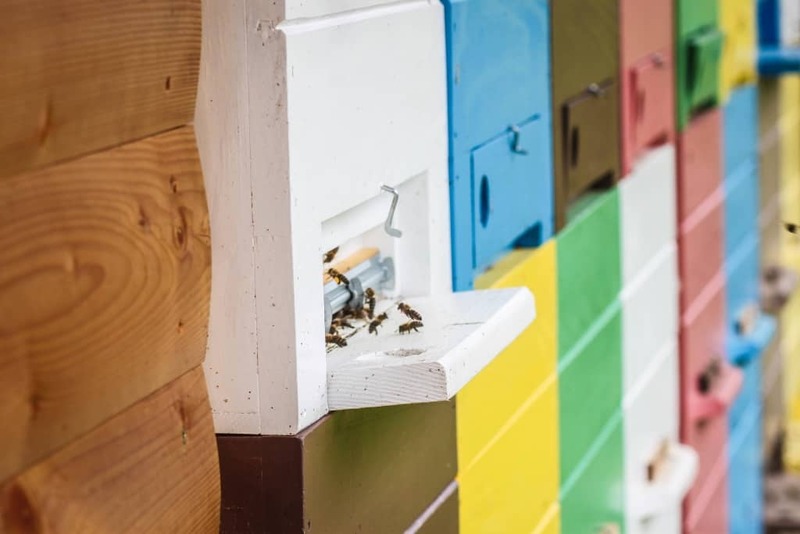 This is a lovely post! So enticing. Just one question. Is this doable using public transport? As we dont drive. We will be staying in Ljubljana. Any recommendations? Yes, you can do it by public transportation. However, if you take the bus, you won’t be able to take photos or see all the things Soca offers. 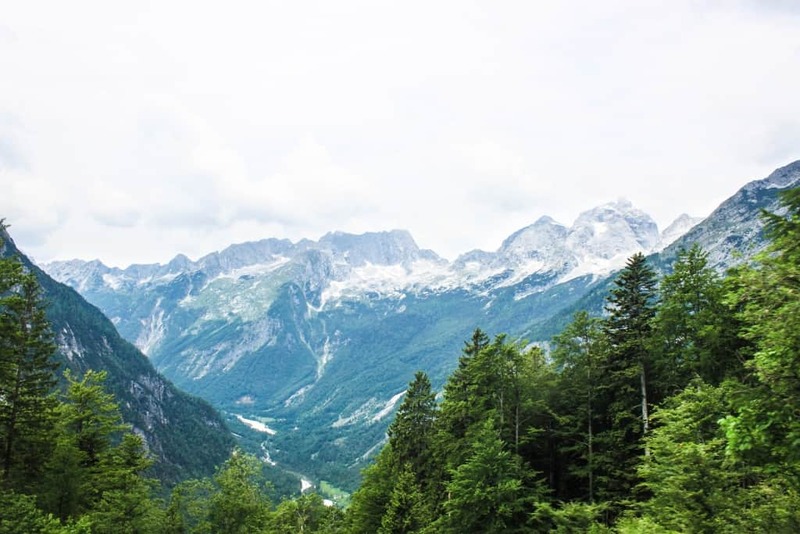 If driving is not an option, you can take the train from Ljubljana – Bled – Bovec and then the bus from Bovec to Kobarid and then back to Ljubljana. That’s the route I did, although with the train/bus you won’t pass Lake Jasna and Vršič pass, which is super beautiful. So glad to hear that, Fred! 😀 Slovenia is still relatively unknown as a travel destination, which only makes it more unique and beautiful. Soca is the most beautiful river! I’ve been living in Slovenia and I used to see and listen the river flows. Oh, what a perfect place to live! Great review and photos. I really want to go to Slovenia in October this year. Would love to climb Mount Triglav, visit the national park, Lake Bled, Lake Bohinj, Soca Valley/River. How long would you recommend spending in each place, where do you recommend staying and what is the best way to get around between these places/best itinerary? Thankful for any advice and tips! 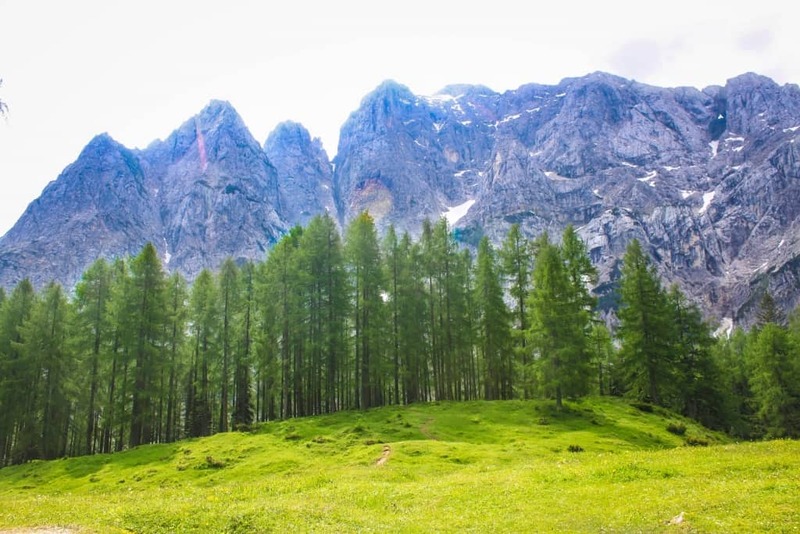 I’m not sure how long it takes to climb Mount Triglav – I think it’s super cool that you’re doing it, btw! As for Lake Bled and Bohinj – 3-4 days are perfect. 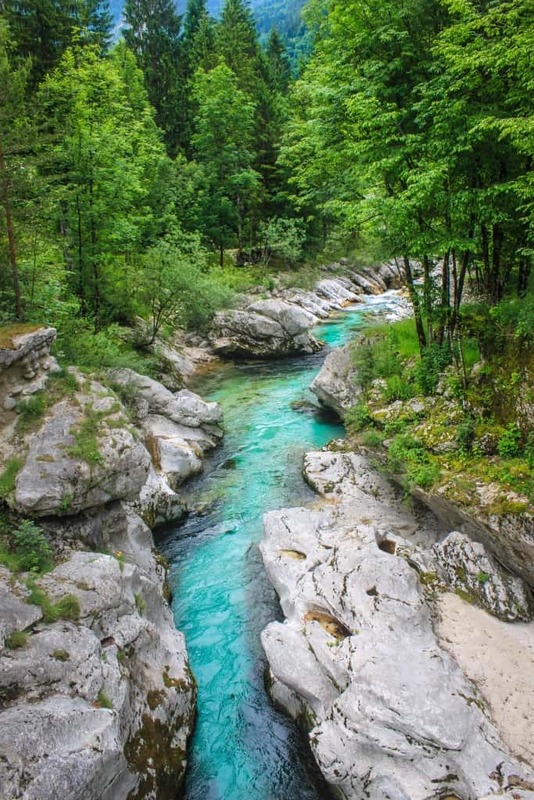 Soca Valley – the same. Having a car is the easiest way to get around. Especially in Soca. But you can also take the bus or the train. 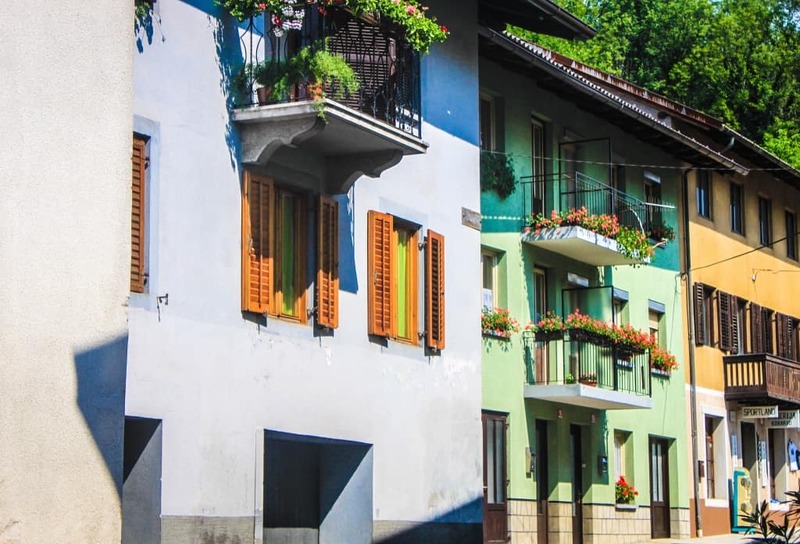 Are those beautiful houses in Kobarid located in the centre? Where did you park in Kobarid and was it easy to find parking? Hi Eddie, yes they’re in the centre. Just walk around a bit and you’ll find them around town. I didn’t drive so I can’t advice about parking, unfortunately.